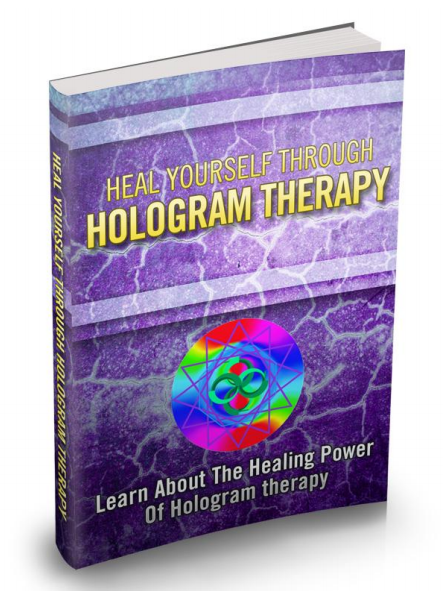 Holographic healing is a system that helps us to identify the unconscious patterns and power constrictions that underlie any issues that we might have in our lives. You might have a relationship problem, a health problem, trouble in business, trouble becoming successful, personality issues, getting angry or depressed day in and day out. It doesn't really matter what the fundamental issue is. We have a tool that helps us to access the core events that underlie them. Most of our issues are unconscious, and this lets us go to those core unconscious places in order to discover what may to move this immovable issue that we have in our lives. A hologram is a three-d image that you are able to walk around inside of, that appears entirely real, but is made of relative frequencies of light. Whenever you take a holographic look at an apple, slice it into a thousand pieces, and radiate a thousand lights through every of those petite pieces, every one will make a whole apple. You can't split it into pieces. And there is more data stored on one square inch of a holographic image than you are able to even imagine. Modernistic physics has discovered that it's likely that the human brain, the entire human system, and as a matter of fact the whole of the universe is a hologram. It is made of frequencies and it appears real, but it is not.